A flick lost by Kenya’s national team squash player Khaaliqa Nimji condemned Peponi to a 2-1 loss to Hillcrest International School in the Joab Omach Memmorial hockey tournament at Hillcrest. Hillcrest skipper Diana Maganda planted home the decisive flick to pip Peponi for the title after Khaaliqa lost her flick which was saved by the opposing custodian. Hillcrest’s other goal was converted by Maggen McLean as Alicen Zawadi sounded the board for Peponi’s consolation. The match was decided through the shoot outs to break the stalemate after settling for a barren draw during normal regulation time. 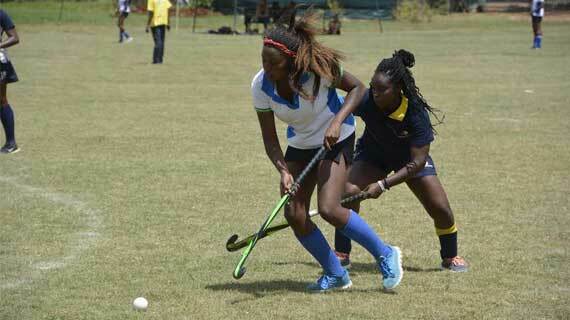 Kenya’s national Pentathlon player Carol Hays combined well with Maganda upfront in tormenting Peponi’s defence. Maganda was voted as the female Most Valuable Player (MVP). Hillcrest captain Taru Carr-Hartley and Kenya’s national pentathlon player Ladema Masidza bagged a goal each for the win. Carr-Hartley who is in his last grade at the institution moved on in style by being voted the boy’s Most Valuable Player. Maganda and Carr-Hartley attributed their respective victories to team work as Khaaliqa said they lost because Peponi were unable to contain pressure. In basketball, Brookhouse retained the Tyson Kinuthia Memorial tournament also at Hilcrest International School. Brookhouse beat International School of Kenya (ISK) 35-20.